A subsequent update created a performance royalty for post-1971 sound recordings on “non-interactive” digital platforms (web radio) like Pandora but provided non-interactive streaming services with a compulsory license to use the recordings. Pre-’72 recordings, though, remained beyond the reach of the new federal rules. In recent years, however, the owners of sound recordings have had some success bringing cases against broadcasters and streaming services in state courts by arguing that pre-’72 recordings are covered under state copyright laws, which in many cases provided a public performance right for sound recordings, and which were never pre-empted by federal law. The use of pre-’72 recordings by broadcasters and streaming services in states that have such laws, therefore, should still require a license and the payment of royalties. That’s more or less what ABS Entertainment, which owns pre-1972 sound recordings by Al Green, Otis Clay and others, had in mind when it sued CBS Radio last year. But CBS offered up a novel theory in its defense. The actual recordings it used in its broadcasts were digitally remastered versions of the original, analog recordings, and therefore had to have been made after 1972, under federal copyright law, which provides an exemption from royalties for broadcasters. 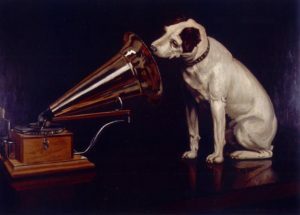 The legal question before the court, then, became not the proper interpretation of California state copyright law but whether the audible differences between the digitally remastered versions and the original analog recordings, were sufficient, and sufficiently original, as to constitute a separately copyrightable work. That left ABS in the awkward position of arguing that copyrights it likely would have owned in the remastered versions — by virtue of their being derivative works based on the pre-’72 analog originals it did own — were not valid, and therefore could not be covered by federal copyright law and its exemption for broadcasters. The court largely accepted the testimony of CBS’ expert sound-engineer witnesses in concluding the changes made in the remastering process were sufficient to comprise an independent work of authorship, and that ABS, whether it liked it or not, owned new federal copyrights in the remastered versions used by CBS, exemptions and all. Accordingly, the Court finds that on the record before it, Plaintiffs’ pre-1972 Sound Recordings have undergone sufficient changes during the remastering process to qualify for federal copyright protection. In an era of endlessly mutable content, however, when nearly any work can be be remixed, remastered, reprocessed or restored, sorting out where to draw the line between copyrightable versions could get a lot more complicated. Upconverting a movie to 4K may be “a mere conversion between formats,” but what if in the process and engineer does some color correcting or image sharpening? Would that be sufficiently original to claim a new copyright? If so, what sort of incentive does that create for the preservation of earlier versions? This one is going to require a lot of chewing over by other courts before anything is settled. Footnote: The case also provided an object lesson in the costs of poor record keeping in the music industry. The court acknowledged that a derivative work, such as a remastering, can only be made with the permission of the copyright owner. Presumably, in this case, the remasterings were done with the approval of ABS Entertainment or its predecessors in interest. Makes you despair of ever compiling a comprehensive database of rights ownership covering the first 90-0dd years’ worth of sound recordings.